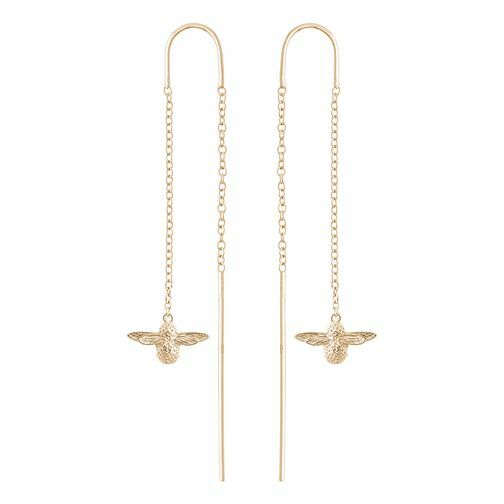 A plain set of drop earrings by Olivia Burton, crafted in yellow gold plated sterling silver, featuring a pretty bee outline for elegant and understated styling. Olivia Burton Queen Bee Yellow Gold Plated Drop Earrings is rated 5.0 out of 5 by 1. Rated 5 out of 5 by Anonymous from Beautiful petite long earrings Beautiful earrings which aren’t too imposing. The bee is a unique and fun detail.